30 Unbelievably Strange Facts That Most (Gullible) People Don’t Know. Remember the story parents told their kids about eating the seeds from watermelons? I was told if I swallowed the seeds, the enormous fruit would grow in my belly? As a kid, I took that as the gospel truth. As an adult, I still hold on to things that I hope are not wrong. For example, I am convinced a certain eucalyptus topical ointment cures all flus and viruses and I apply it in huge amounts when needed. Some people are more gullible than others, taking information at face value. Nonetheless, others are not convinced so easily. Thank goodness for the latter. It is their inquisitiveness or perhaps skepticism that allows for truths to be debunked once and for all. Here are some explanations and an exposé to beliefs or assumptions that were wrong all along. You may be surprised at some of these facts or you may just giggle realizing you were misinformed all along. #2. Cashew nuts gros on trees. 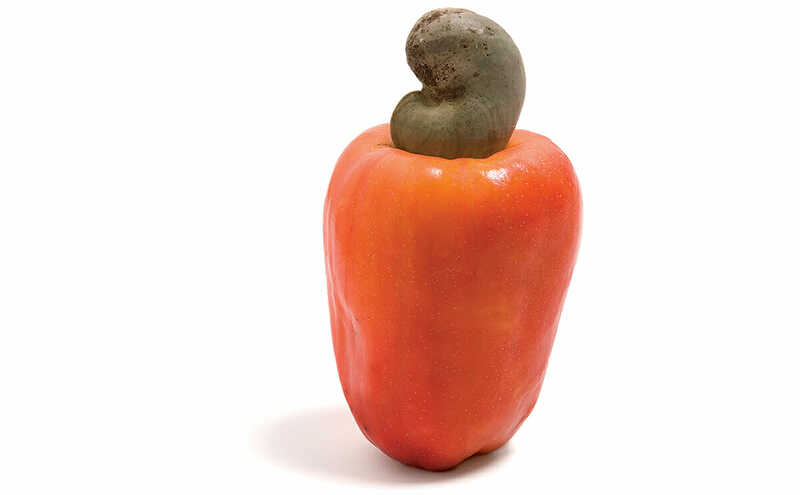 The nut is actually part of an apple, a cashew apple. BTW, this fruit is delicious! #3. This is where the Great Wall of China ends. #4. Inside the Magic 8-Ball, there is no ball at all. #5. There is no such thing as baby carrots. It's just carrots cut in to smaller, cuter versions from the original. #6. In reality, a coyote is much faster. At top speed it runs at 43 mph while a road runner is only 20 mph. #7. Some people paint their lawn to make it look like the healthy, natural green grass.